Salnés Valley is now in the routes to Compostela. 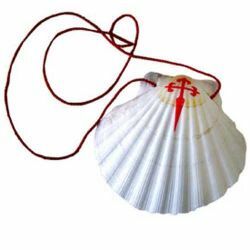 Those pilgrims who go to Santiago through the Portuguese Way will change the original way and go on towards Cambados and Vilanova, where they will have two choices again: by land to Pontecesures or take a sea route. In fact, it was already possible but they miss the Compostelana since they did not get the stamps which certify the steps of the Way. The possibility of giving the pilgrims the oficial stamp of the Compostelana will benefit the valley of a touristic proyection difficult to value, due to the success the Way has.